The team spudded the Cardiff-3 well on September 2nd, and we expect it will take six weeks total to reach its projected depth of 4,900 meters. As of yesterday, we were at about 1,000 meters. This is the kickoff to our high impact, deep drilling campaign in Taranaki, which will run over the next six months, and it’s the first well to target one of our Kapuni Formation prospects. The Kapuni Formation, comprised of the deep Oligocene and Eocene strata, is responsible for several major discoveries where 2P (proven and producing) reserves of 6.9 TCF gas and 372 mmbls oil/condensate have been discovered so far. This includes Shell’s nearby Kapuni Field, which has produced 1.5 TCF gas and 65 million barrels of condensate to date. 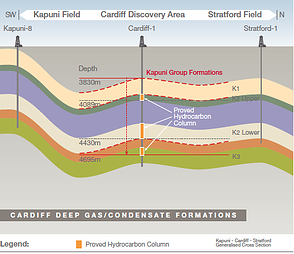 The Cardiff structure has been identified as a large anticlinal trap, some 12 km long by 3 km wide, with a number of potential pay zones within the Kapuni Sands Formation. The Cardiff gas/condensate discovery has the potential to become a substantial onshore resource, situated on trend and among several sizable deep gas/condensate discoveries in the Taranaki. Gas with rich condensates was discovered at Cardiff within the upper Kapuni zone, which encountered 12m of net pay and flowed at over 3 million cubic feet and 100 barrels of condensate (light oil) per day with improving rates observed on long-term testing. This zone can be identified on 3D seismic to be a prospective target across the span of the Cardiff structure. And even greater resource potential exists in the deeper K1A and K3E zones, where strong gas shows were encountered over a gross 600m interval. This will be a primary target in the Cardiff-3 well. More as this well, and our expanded Taranaki program as a whole, progress. 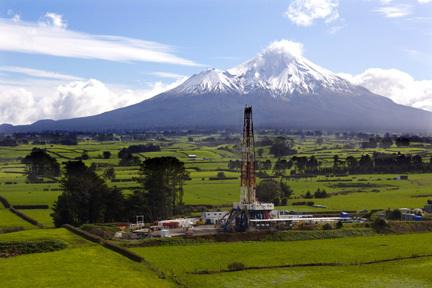 We’ve got two drill rigs actively operating, and a third rig that will begin operating on our permit shortly, all within Taranaki’s main discovery fairway. 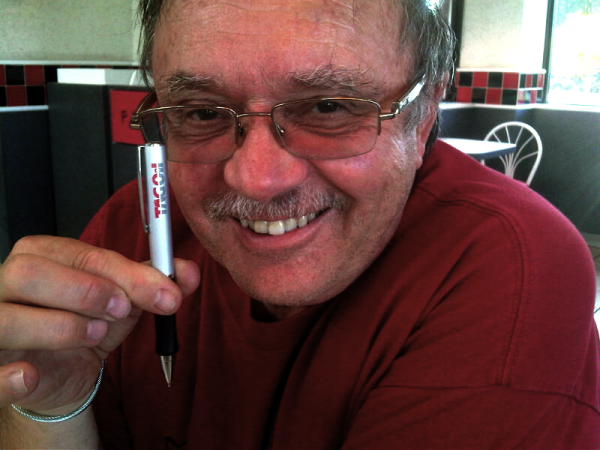 Things are rocking and rolling, and we’ll do our best to keep you informed!